App Update 4.6.0 - Leap in! We’re excited to announce the launch of our latest app update. As you probably know by now, we’re passionate about making our app as helpful and as easy to use as possible so we’re constantly working on improvements. Exciting NEW feature: NDIS Plan history now available. 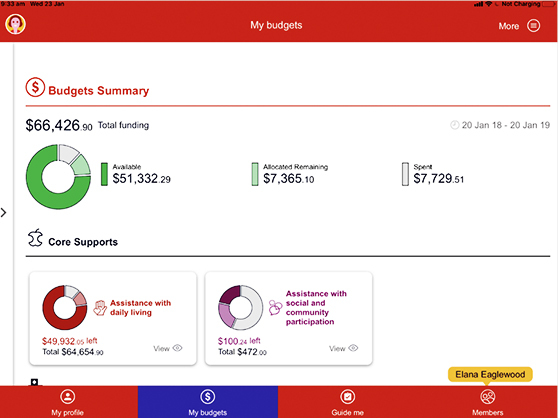 As you move into your next NDIS Plan, you can now look up your old plan/s to see the funds in each of the budget categories and, where relevant, any remaining claimable amounts. Your payment history will include all claims against current and previous plans. 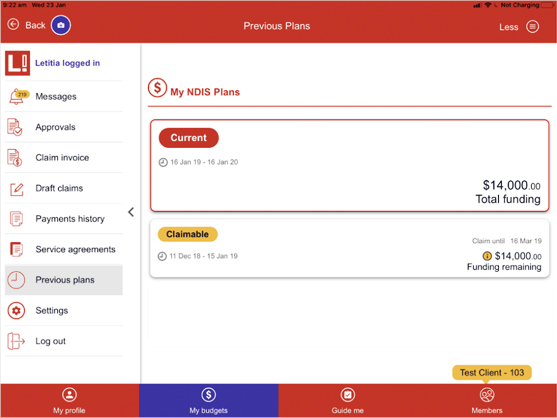 This new feature provides the next level of visibility over your NDIS budgets: you can now see your current plan budgets in real time and also review all activity and the status of your earlier plans. IMPORTANT Change – New way of displaying your budget activity. With this release, we have refreshed the Budget Summary page: specifically, how Available, Allocated Remaining and Spent funds are shown. To get the most out of these new updates, make sure you update your app in the Apple App Store or in the Google Play Store and you’ll be able these new features in action. Any questions or feedback? Let us know by calling 1300 05 78 78 or emailing connect@leapin.com.au.